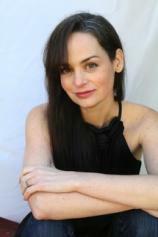 Julianna Baggott is the author of more than 20 books, including national bestseller GIRL TALK and WHICH BRINGS ME TO YOU (co-written with Steve Almond); three books of poems, and seven novels for young readers, most notably The Anybodies trilogy, under the pen name N.E. Bode. Her work has appeared in dozens of publications, including The New York Times, Washington Post, Boston Globe, Best American Poetry 2000, 180 More Extraordinary Poems for Everyday (ed. Billy Collins), The Southern Review, TriQuarterly, Virginia Quarterly Review, Poetry, Glamour, Ms. Magazine, and read on NPR's Talk of the Nation.